I thought I'd share with you my favourite magazine ever! Even though there has been a lot of debate recently of magazines slowly fading away in to the internet and app world, I still look a good magazine to hold and collect. Every fashion-season, this wonderful magazine hits the shelves and I can't help but race to get it. I didn't want to photograph the inside too much because then that would be spoiling it! Instead I've shown the cover, contents and the creative stickers that they make with every magazine! A/W14 has designer foods, SS15 has Fashionimals - amazing! I'm still looking for somewhere to put them, I'm really indecisive with things like this, don't judge me! On a scale from 1-10 I would rate this magazine a 1984657309. Does that represent how much I love it? I love how it is informative, yet entertaining. Obviously, this is my own personal opinion, but all the content inside is interesting. I normally miss some pages out of magazines because some articles aren't for me but I read every single page of Elle Collections. The interviews are always inspiring and motivational! The layout of the magazine is fun and fashion-y! I really couldn't find a fault with it and it's one thing I look forward to, even if it's only out twice a year! It is definitely worth the whopping £7! i got this magazine last week and love it, has so much to read and look at plus it's one of those magazines that you can keep for ages and look back on! Elle is one of the few magazines I still pick up from time to time but I had no idea they did this! I need to get my hands on it. This looks really good! 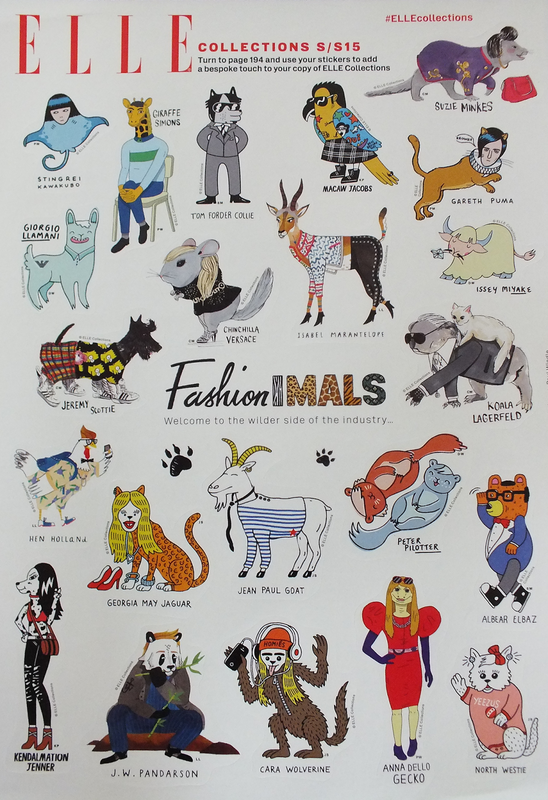 The fashionimals are brilliant!